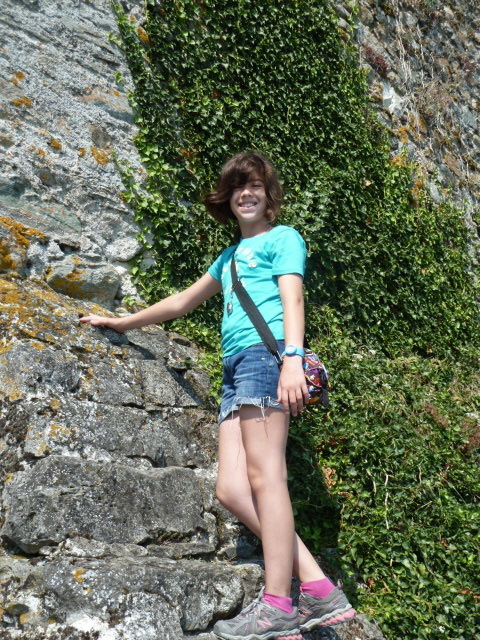 After we dropped Grammy at the airport this morning, we decided to take a detour to a picturesque medieval village on the French side of Lake Geneva called Yvoire. The town, which probably has the most flowers per capita than any other town in the world, is dominated by a chateau owned by the d’Yvoire family. Yes, you know you’re minor royalty when your surname is the town’s name. 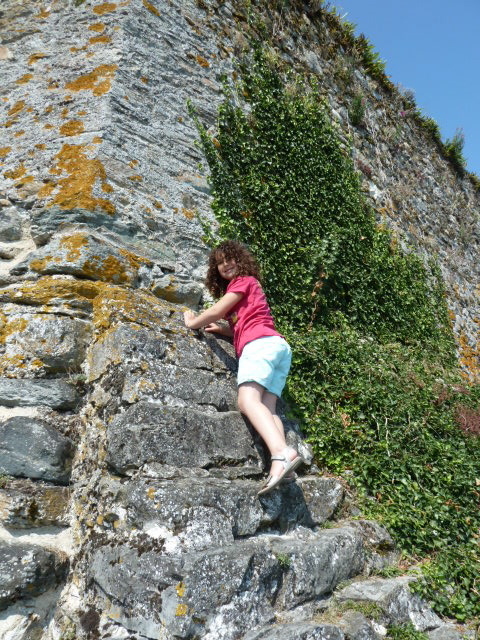 Chloe and Sophie attempted a frontal assault on the castle by climbing the rampart walls – but the d’Yvoire family didn’t really have anything to worry about. They made for pretty lame invaders. 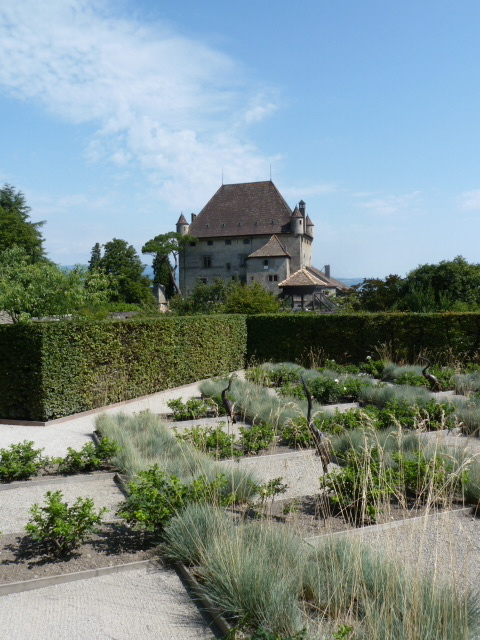 We visited the Jardin des Cinq Sens, situated on the site of the chateau’s medieval vegetable and medicinal garden. 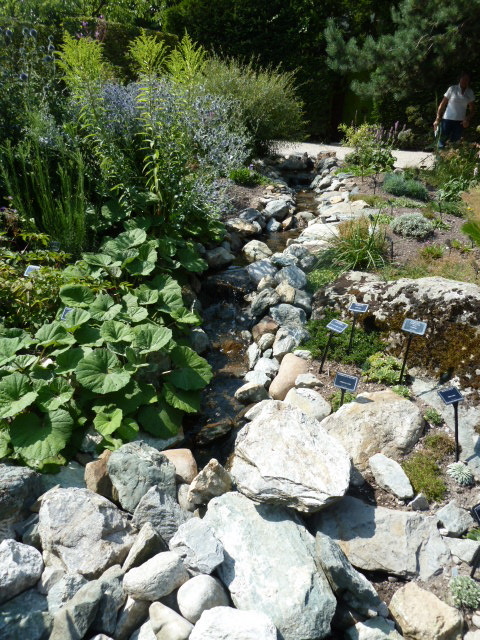 This exquisite garden is divided into five sections, representing the five senses. 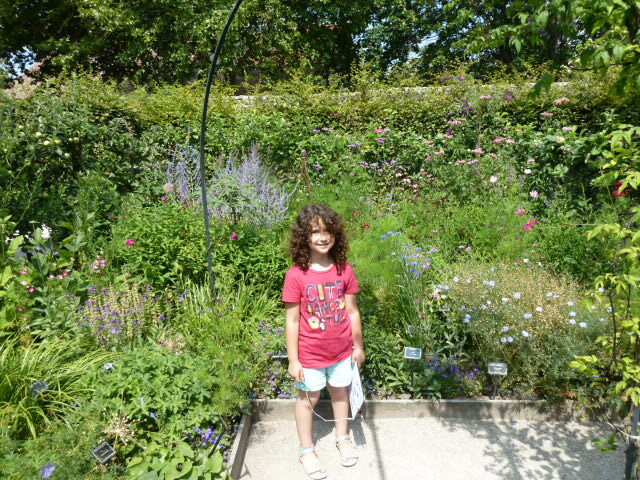 The girls went on a little scavenger hunt and found plants that felt like stuffed animals – their leaves were so soft – and smelled flowers that were flowers in name only – they were so stinky. It’s hard to believe that our time in Annecy is coming to an end on Saturday morning. The last two weeks have flown by way too quickly and I wonder if it will be another 20 years before we return to this enchanted place. I hope not. In the meantime, Paris – glorious Paris – awaits us. We’re going to take that city by storm. Where’s the LIKE button? I’m living in Paris through you!